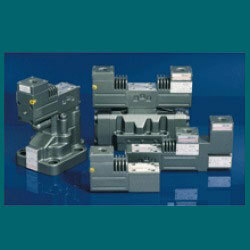 We offer a wide range of Solenoid Valves Spool or Poppet Type to our clients. These products are available in various sizes and shapes and can be customized as per the requirements. These products are highly appreciated by our clients for their unique features. We offer these products to our honorable clients at reasonable prices in the market. With sincerity and hard work of our professionals, we have carved a niche for ourselves in this domain by offering premium quality gamut of Solenoid Valve. Pneumatic Cylinder, Solenoid valve, Fittings etc. Avail from our firm distinct grade Pulse Solenoid Valves, which use diaphragm valves for passing compressed air from air supply lines into blow piped within bag filter. 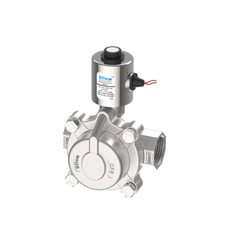 Actuated with electrically operated pilot solenoids, the product is highly acclaimed in the market. For the convenience of our clients, we avail these valves in ¾ to 2" that is suitable for 24 V DC & 110 V / 230 V AC. Solenoid Valve for industrial fluid control. All valves have been designed to provide our customer most reliable, high performance and easy operation and they are be produced with modern machining process. Listed on this website are our standard products, if you can't find your demand, please contact us for assistance. Backed with rich experience and knowledge, we are considered to be one of the most professional manufacturers and trader of RO Solenoid Valve. These spare parts are available in different shapes and sizes at pocket friendly prices in the market.